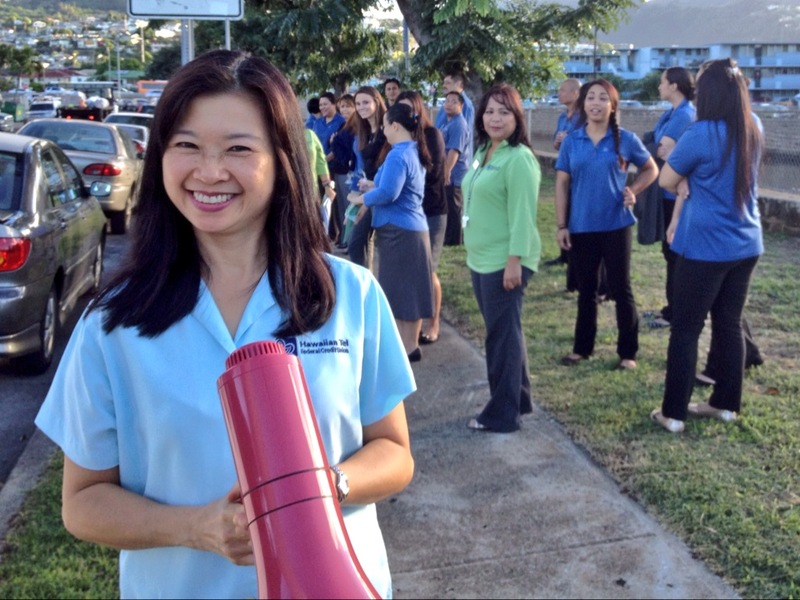 HiTel FCU employees rehearsed a fire drill on the morning of December 18, 2013. It is an annual training exercise the credit union does to ensure the safety of their employees. The emergency evacuation procedure allows multiple escape routes for employees. There was a designated meeting place along KapalamaCanal, which was zoned by departments to make sure everyone was out safely. Fire drills do not only ensure that staff and members understand what they need to do if there is a fire, but also to test how effectively everyone can evacuate, and look for ways to improve specific aspects of the procedure if it is necessary. It is just as important for families to test fire alarms and practice escape drills with their children to reduce risks of injury or even death. So let’s be proactive! This entry was posted in CU News, Uncategorized and tagged Bishop Street, credit union, Downtown, employees, ewa beach, finance, fire safety, Halekulani, hawaii, hawaiian tel fcu, hitelfcu, honolulu, Kaimuki, Kalihi, Kapalama, kapolei, kunia, mccully, Milillani, practice, Schofield, staff, Wahiawa, Waikiki, waipahu, Wheeler AAF, zone by Hawaiian Financial Federal Credit Union. Bookmark the permalink.